Our colleague Mark Finkelstein noticed on Twitter just how quickly the Associated Press jumped to label the Texas judge who ruled against Obamacare. Ricardo Alonso-Valdivar began: "A conservative federal judge in Texas has ruled the Affordable Care Act 'invalid' on the eve of the sign-up deadline for next year. But with appeals certain, even the Trump White House said the law will remain in place for now." On Wednesday, Ricardo Alonso-Zaldivar and David Crary of the Associated Press hyped that the "the Trump administration is remaking government policy on reproductive health — moving to limit access to birth control and abortion." The pair spotlighted how "social and religious conservatives praise the administration,'" but failed to give an ideological label for the "women's-rights activists...[who] view the multi-pronged changes as a dangerous ideological shift." The journalists also slanted towards the pro-abortion side by quoting six critics of the Trump policy shift, versus just three supporters. There's a lot of competition for this dubious distinction, but the media's treatment of President Donald Trump's decision to end certain Obamacare subsidy payments to insurance companies is perhaps the most blatant example of comprehensive bias on a single topic seen during the past week. Apparently, the press realizes that acknowledging how Trump's justification for ending the subsidies is airtight on a legal and constitutional basis would force them to admit that the Obama administration's payment of those subsidies for several years was illegal — and we can't have that. 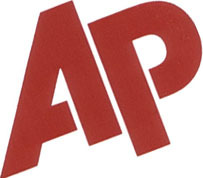 The worst offender in this regard was the Associated Press. An attempt by the Associated Press to smear Tom Price, nominated by Donald Trump as the next HHS Secretary, began Wednesday after the opening round of a Senate committee hearing. As of this writing, the wire service is up to its third such entry. The misleading reporting and hostility have increased with each dispatch. David Weigel's writeup this afternoon at Bloomberg Politics ("Meet the Mild-Mannered Investment Advisor Who's Humiliating the Administration Over Obamacare") is about the guy who has found at least two incriminating videos of Jonathan Gruber revealing the true intentions behind the Affordable Care Act. In some respects, it's well done and interesting. An Associated Press story dated April 28 takes swine flu fears to a whole other level. A report datelined Washington by Ricardo Alonsozaldivar and Eileen Sullivan examined the worst-case scenario "if the swine flu gets out of control." "Two million dead," Alonsozaldivar and Sullivan wrote. "Hospitals overwhelmed. Schools closed. Swaths of empty seats at baseball stadiums and houses of worship. An economic recovery snuffed out. We're nowhere close to what government planners say would be a worst-case scenario: a global flu pandemic. But government leaders at all levels, and major employers, have spent nearly four years planning for one in series of exercises."